Coping with the death of a loved one is never easy. Below is some information that will help guide you initially. It is often a good idea to enlist the help and support of a trusted friend to make and receive phone calls, and assist in whatever way you need them to: walk the dog, pick kids up from school, grab some groceries etc. It is an extremely intense and confusing time, so don’t hesitate to contact us with any questions you might have about what you need to do, even if your concerns aren’t directly related to the funeral. We’re well-versed in all topics relating to the loss of a loved one, and we are here to provide you with any answers, advice, and guidance you may need. When a death occurs while your loved one is in a hospital, care facility or hospice, the staff will notify you and the GP. If you’ve already given them the name of a funeral home, the staff will contact them as well. If the death is expected and occurs at home or anywhere else not listed above, the deceased has most likely been under the care of a GP or specialist, notify them immediately, and then contact your funeral director. When a death is unexpected, and/or unexplained the police should be notified at once. They will attend on behalf of the Coroner. If an ambulance has been in attendance, they will contact the police for you. It may be some number of days before the Coroner is able to release your loved one back to you. Let your funeral director know what has happened so we can be of assistance at the earliest opportunity. If you are at all unsure at any point….call us. After you’ve notified the appropriate professionals, you’ll want to notify friends and relatives of the death. It may be too painful for you to do this yourself, it’s absolutely okay for a trusted friend to make the call in your place. 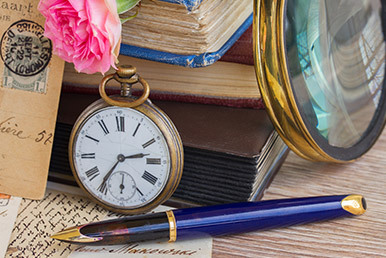 Now is the time to review any prearranged wishes or plans your loved one may have put in place, and meet with your Funeral Director to discuss your options and begin creating a funeral. Your Funeral Director will assist you to write a death notice for the local paper to notify those in the community of your loved one’s passing. Our Funeral Directors are fully mobile, so will meet with you in the comfort of your home or at a venue of your choosing (perhaps a cafe or park, or wherever you feel most comfortable). During your time of loss, remember that one of your greatest resources will be family and friends who want to offer their assistance, however they can. We encourage you to get in touch with relatives, neighbours, friends, clergy members or other trusted members of your community. People like to be needed and they are often more than happy to prepare food, look after children, and help with arrangements, or simply offer a kind word and a hug. Again, if you are unsure how to proceed… call us. Your initial call with our funeral director will allow us to gather the information we need to begin the process of bringing your loved one into our care and enquire about any pre-arrangements which may be in place. It is also the time you can also feel free to ask any questions you may have, and resolve any of your initial concerns. At a later meeting you will be able to discuss your arrangements in greater detail, but we’re always available in your time of need to provide support, a sympathetic ear, and careful guidance. When you first begin the process of creating a funeral, the decisions you’ll face might seem overwhelming. We will help you tackle the choices one by one and make the journey as simple and meaningful as it can be. 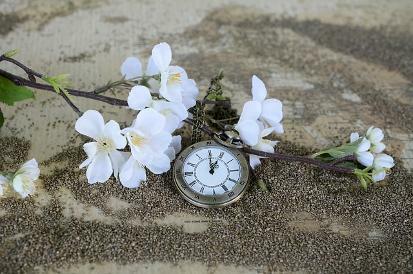 During your meeting with our Funeral Director we will collect all information required to prepare and file the official death certificate, schedule the services and events (location, date and time), select a coffin and flowers, draft a death notice. We’ll then walk you through the entire arrangement process, and ask you about your loved one to gain an understanding of the person themselves. Use this time to voice your ideas and preferences, tell your loved one’s life story, share memories and highlight their accomplishments. Our Funeral Director will use this information to guide you in crafting a meaningful, personalized celebration of a unique journey. Our staff are experienced in understanding and accommodating the needs of all beliefs, faiths, lifestyles, and relationships. We’re here to answer your questions and guide you through the decisions you’ll need to make, and will encourage you to take your time to figure out the most meaningful and fitting way to honour your loved one. Whether it’s formal or informal, traditional or offbeat, a funeral provides an opportunity for family and friends to gather and support one another in taking the first steps of their healing journey. A service can take place in many settings – at your home, outdoors, a crematorium chapel, a church – and can incorporate music, poetry, or art in the celebration of a unique life. There are endless possibilities for what the service can be. The person conducting the funeral service, be it a clergy person, an elder, or a celebrant will also (usually separately) meet with the family to discuss in more depth the hymns, music, poems, readings and other content of the service. Where a celebrant is required, our Funeral Directors have a select group of celebrants that they work with regularly and will contact one of these on your behalf. 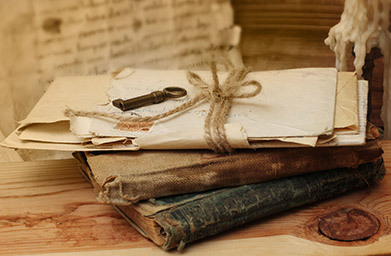 To help share your loved one’s personality and life story, feel free to bring any memorabilia – like photos, videos, music, crafts, or treasured items – that might give us a better understanding of how you envision paying tribute to them. Even if you’re not sure how a particular aspect of their life might be included, don’t hesitate to ask; we can often make unique suggestions on a way to add that element as a special touch to their service. The smallest touch can make a big difference in personalising their service. There’s no right or wrong when it comes to celebrating your loved one and honouring their life, accomplishments, and individuality. Clothing for the deceased to be dressed in. You may wish to include perfume, make up, or after shave, if appropriate. A current photo is helpful to assist with their presentation. A deposit may be required, so have on hand credit/eftpos card or cheque book. Prepaid or prearranged funeral plan documents, if any. If a loved one dies away from home, this can add extra stress and complication to an already overwhelming situation. We offer an experienced and complete interstate or international repatriation service, taking care of all arrangements to ensure a timely and dignified return home. A ‘viewing’ is how we describe seeing the person who has died and spending one last time with them at some point before the funeral. In some cultures, it is compulsory that the deceased is attended by family members for a significant amount of time leading up to the funeral. Some people need to have a final opportunity to see their loved one again. Our belief is that the value of spending this quality time cannot be underestimated. Help cope with the reality and acceptance – especially if you haven’t seen the person for some time, or the death was unexpected. See the person free from pain, or medical apparatus especially if they have been in care or hospital. Our skilled and compassionate staff are unsurpassed in their presentation of loved ones, so the final picture that you walk away with is more positive than what you may have seen previously. The viewing is usually private with family and selected friends who attend, or it can be just for you, if you want some one-on-one time. Families to choose to make the viewing a special time to be together. They might play favourite music, they might share a favourite drink or food, they might place some small mementos in the coffin like photos, a favourite belonging, paintings from the kids, or a goodbye letter or card. All of this is possible to make your final time together memorable.